Degica Games has announced that Rival Megagun arrives on Nintendo Switch on November 29, 2018. 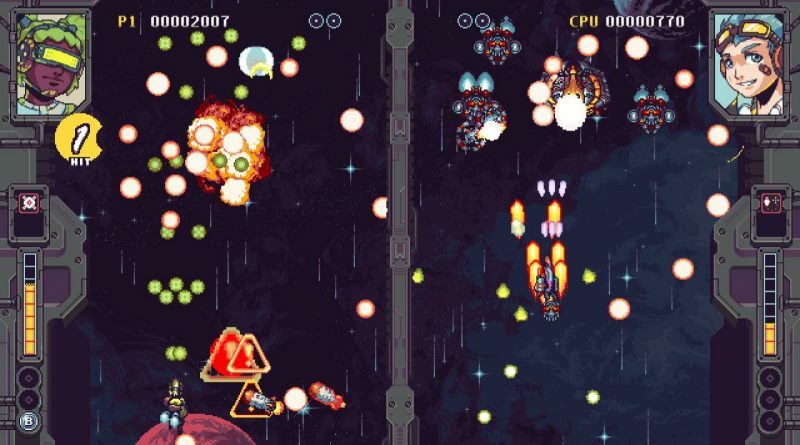 Developed by Spacewave Software, Rival Megagun is a competitive split-screen vertical shoot ’em up where you transform into a gigantic boss ship – your “Mega Gunship” – to invade your opponent’s screen. Rival Megagun features a single-player arcade mode, local and online multiplayer and supports English, Japanese, French, Italian, German, Spanish, Brazilian Portuguese, Korean, Chinese (Simplified/Traditional), Russian language options.